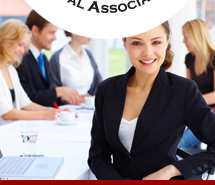 One of SWFPA's goals is to offer continuing educational opportunities to local paralegals for a reasonable price. We accomplish this by hosting dinner meetings and an annual seminar. We also keep our paralegals informed about local CP/CLA Review courses offered in preparation for the NALA exam, and we offer scholarship opportunities to our student and active members. Record CLE Hours online with NALA. Link to NALA's CLE Status Check.